Our Sports Medicine Physicians are trained to do a variety of musculoskeletal injections into joints, muscular trigger points, tendons, bursa and soft tissue. For patient comfort, we use a topical anesthetic spray before performing an injection. There is a small fee charged to each patient to cover the supplies for every injection given. We generally use a medication called triamcinolone for our steroid injections which is the most common injection that we perform. A prescription will be provided by the Sports Medicine Physician to allow you to pick up this medication from a pharmacy (NOTE: there is a Medicine Shoppe pharmacy on-site). This injection is commonly used to reduce pain and inflammation in a joint, tendon or bursa. The triamcinolone is typically combined with a local anesthetic before the injection is performed. 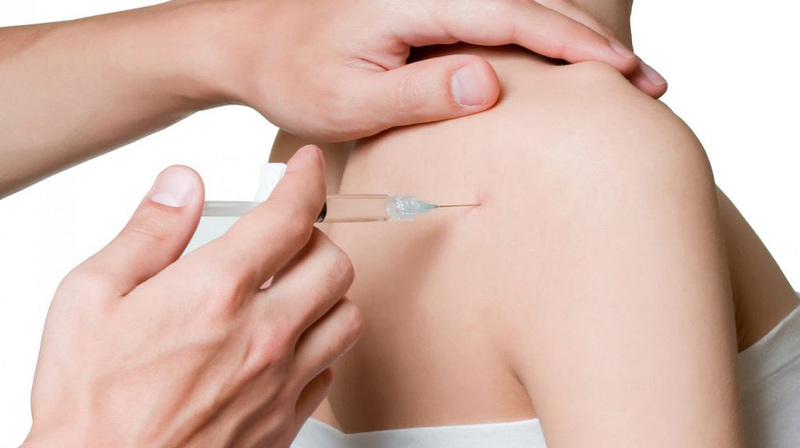 There are often limitations on the number steroid injections that a patient can receive in one year. This substance acts as a lubricant of the cartilage and ligaments in a joint to enable it to move smoothly and also acts as a shock absorber. This injection is used in osteoarthritic joints (knees, hips, feet, hands) to reduce the pain and improve the mobility of the joint. These injections are used to treat myofascial pain. Trigger points are an area of maximal tenderness in a dysfunctional muscle that has contracted and failed to relax. These can occur in any muscle but we see them most often in the neck and back after an injury. We use a local anesthetic called lidocaine for these injections which may be repeated on a monthly basis if progress is being made. State-of-the-art ultrasound guided injections into joints, tendons and facet joints (back). Platelet Rich Plasma (PRP) injections: PRP injections can accelerate healing, repair damaged tissues, reduce pain and improve function. This procedure involves injecting components of your own blood back into an injured area to modify inflammation and stimulate the healing process. Stem cell injections: Similar to the PRP injection, stem cells are taken from the patient’s body and injected into areas where there is degenerative disease such as chronic osteoarthritis or partial tendon/ligament tears.